Where do celebrities stay when performing at Theatre Milton Keynes? The theatre in Milton Keynes attracts a wide audience who come to enjoy many well known, best loved West-End performances and touring productions from across the UK. It is one of the region’s leading live entertainment venues which opened in October 1999, after a 25 year campaign to get a new theatre built. A total of 1400 people can be seated in the auditorium, with its fully retracting ceiling that provides a more intimate viewing experience. The Theatre offers a wide and varied programme for people of all ages to enjoy. Many well known actors, actresses and dancers come to perform in Milton Keynes and stay for a few nights to weeks or even a month as is the case during the Panto season. So where do celebrities and theatre staff stay during their time in Milton Keynes? There are, as always many choices when it comes to finding accommodation and generally the decision is based on ones own specific needs and requirements. Many voice the desire for a home-from-home style accommodation and are booking to stay in serviced apartments. 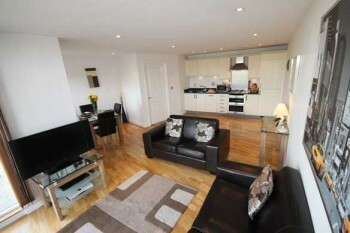 Cotels have enjoyed many who have chosen to stay in one of our one, two or three bedroomed apartments. So why are celebrities choosing to stay in a serviced apartment? The primary reasons are that they offer space, privacy, independence and homely comforts versus a one-room Hotel stay. A kitchen with all basic appliances and cooking utensils means that a meal can be prepared at any time of day and night. Therefore there is no dependence on restricted room-service times, snack from a hotel-room fridge or greasy food from a late-night fast food outlet. A complimentary welcome pack for all guests offers the basics before you can visit one of a number of food shops located within a short distance to any of the four serviced apartment locations (all of which are close to the Theatre:MK too) to stock-up on supplies. There is so much more space than the average Hotel room that it will take the stress out of performing at Theatre:MK – especially for those on longer performance assignments in Milton Keynes. Constrained no longer by fixed meal times and food you may not enjoy, you will benefit from the freedom a Cotels’ serviced apartment provides.